And in the background...the sounds of the beach... lots of great calming seas sounds on youtube! 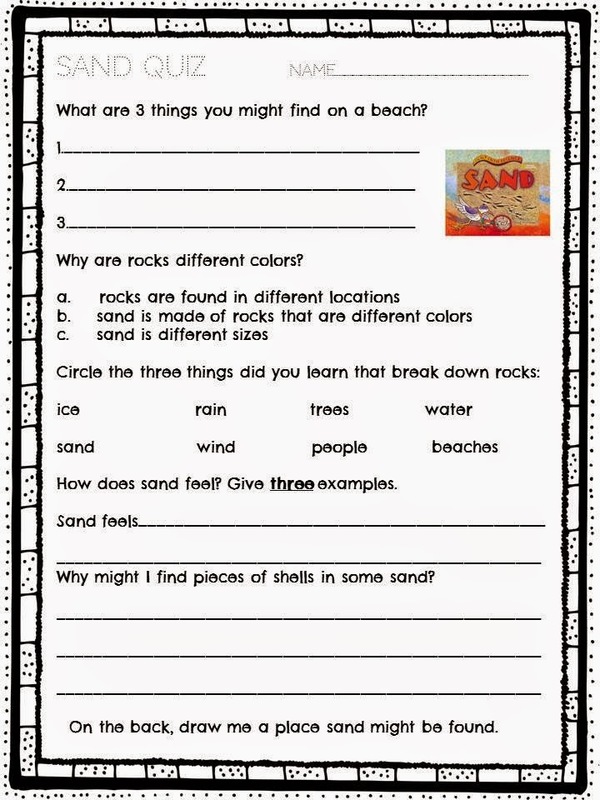 I use my sheets from my Pebbles, Sand, and Silt Pack to add to what we are learning about sand. Give kiddos some sand and some shells and pretend your at the beach when outside it is -25 degrees and you have instant jubilation! Here is our little art project!